Game of Thrones season 8 episode 2 preview: As Game of Thrones season 8 premiere episode continues to make all the right buzz on social media, the makers of the show have released the promo of the second episode. 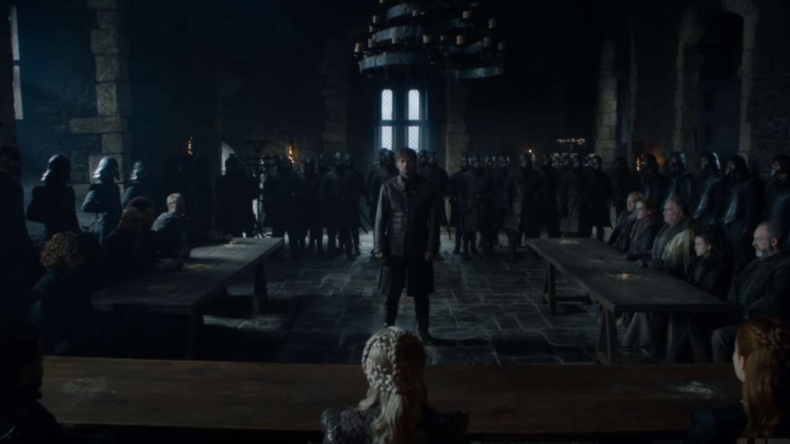 In the episode, Jamie Lannister can be seen undoing a trial in front of Daenerys Targaryen while she talks about taking revenge for her father's death. Game of Thrones season 8 episode 2 preview: Game of Thrones’s eighth and the final season was premiered today and it is making a buzz for all the right reasons. Amid heightened expectations and mixed emotions, the latest episode of Game of Thrones made several revelations raising curiosity among the fans for the next episode. From Jamie Lannister and Bran’s reunion to Jon Snow’s identity to the dragons arriving in Winterfell, the first episode of the show was worth the wait. Before we go on talking about the show’s premiere episode, the makers have already dropped the promo of the second episode that shows that the fun has already begun. One can expect a lot more twists and turns as we proceed further. In the 50 second promo, Jamie Lannister arrives at Winterfell and presumably faces a trial in front of Daenerys Targaryen for killing her father. She proclaims in the court that when she was a child, her brother would tell her a bedtime story about a man who killed their father. She added that they would also talk about all the things they would do to that man. Meanwhile, Daenerys and Sansa are later seen expressing their regret for trusting Cersei. Hinting at more deaths in the show, Arya is seen saying that she has seen many faces of death and is looking forward to see the face of death. When John quips Tormund about how long they have before the invasion of The Night King and The Army of the Dead, he says before the sun comes out the following day. As the talks around Game of Thrones continue to dominate social media, several memes have flooded on social media. If you haven’t watched the first episode, do it now otherwise you are sure to come across a spoiler or the other. Game of Thrones is the adaptation of A Song of Ice and Fire. The show premiered on April 17, 2011. Those who have missed the episode can watch it on Star World on April 16 at 10 pm.